ArtsChange would like to Thank you to all our Supporters, Friends & Allies who came to support. Our opening was warm and filled with resources from our own community. Please visit the Richmond Health Center our exhibition is still up and will remain up for the Month of May. 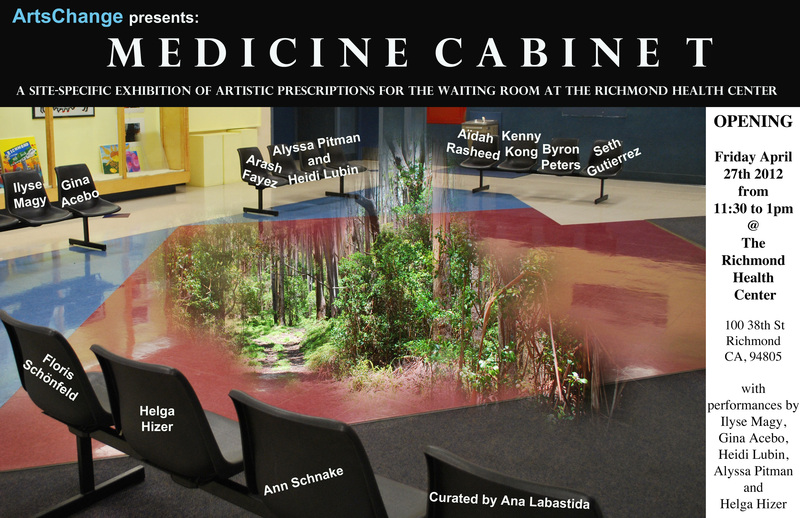 ArtsChange presents, “Medicine Cabinet,” our last exhibition at the current location of the Richmond Health Center, curated by Ana Labastida. Please come out to the opening on Friday April 27th from 11:30-1pm for great art, performance and food! This fall we welcome back Teaching Artists, Joe Mintz, Ammo, David Elmore, Alejandra Perez, and Jose Esquival. On-going digital photography teacher, Joe Mintz and Ammo, former Community Student Fellow from California College of the Arts will be collaborating on a joint project this fall about local heroes. Using visual art/photography as a way to record our own legacies/heroes/villans/histories. Through photography + interviews and then utilizing image manipulation software such as Photoshop the project will generate life size stencil templates that can then be sprayed and displayed. Take 5: Art Break Day is taking place at four sites around the Bay Area in San Francisco, Oakland, Berkeley and Richmond. This Friday the Community Green Space at MacDonald & Harbour Way will be open from 9AM until 5PM inviting all-comers to gather together as a community in order to provide an ART BREAK for everyone! on Art Break Day everyone is invited to sit down at an art table and make art for FREE! 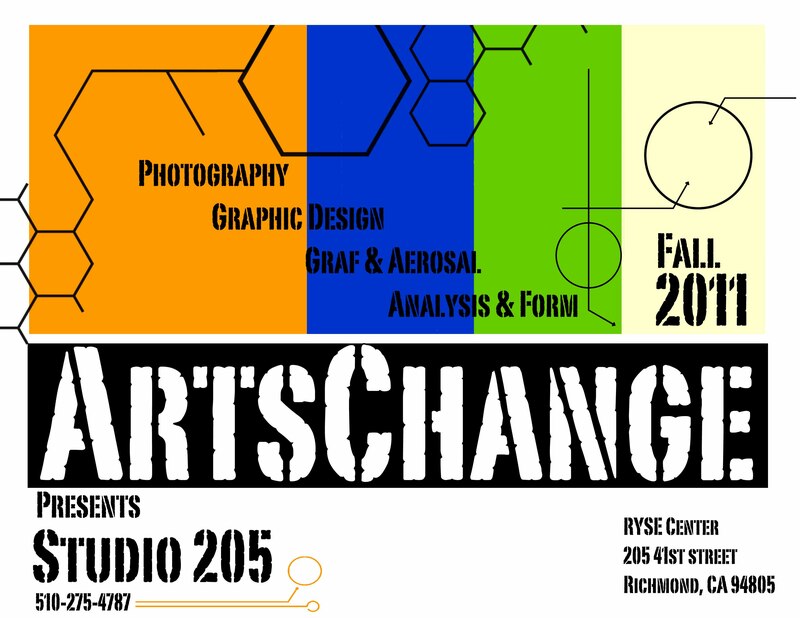 ArtsChange is currently serving as the fiscal sponsor for Art is Moving, the creators of Art Break Day. We look forward to seeing you all there! 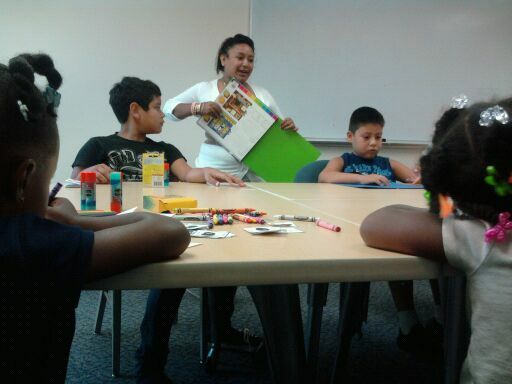 Alejandra Perez of ArtsChange, teaching art to the WeCan Group at the Pittsburg Health Center. ArtsChange has had the pleasure of collaborating with the Pittsburg Health Center’s WeCan group. The goal of the WeCan group is to help children and families maintain a healthy lifestyle through education and art projects. This month we hosted an art workshop with a group of 15 kids on health issues. Students created small booklets on healthy snacks and gave our favorite veggies super powers. We’re excited to share that we will host another workshop on October 28th. More collaboration to come with WeCan group in the Richmond & Pittsburg Health Centers. FALL ART CLASSES ALMOST HERE!